In this episode, the guys spend some time with the winner of the LAST BIG Thing contest, 75-year-old Texan Don Boulware. Don shares stories of yesteryear, his secrets to enjoying incredible on-track success well into his 70’s, and an entertaining tale about his first trip to the Moroso 5-Day. 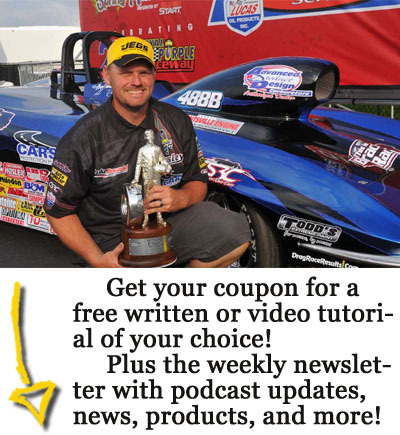 In addition, Luke & Jed touch on the recent developments at Capital Raceway, the recovery of Brian Cireddu’s race car and trailer, and recap last weekend’s big events.